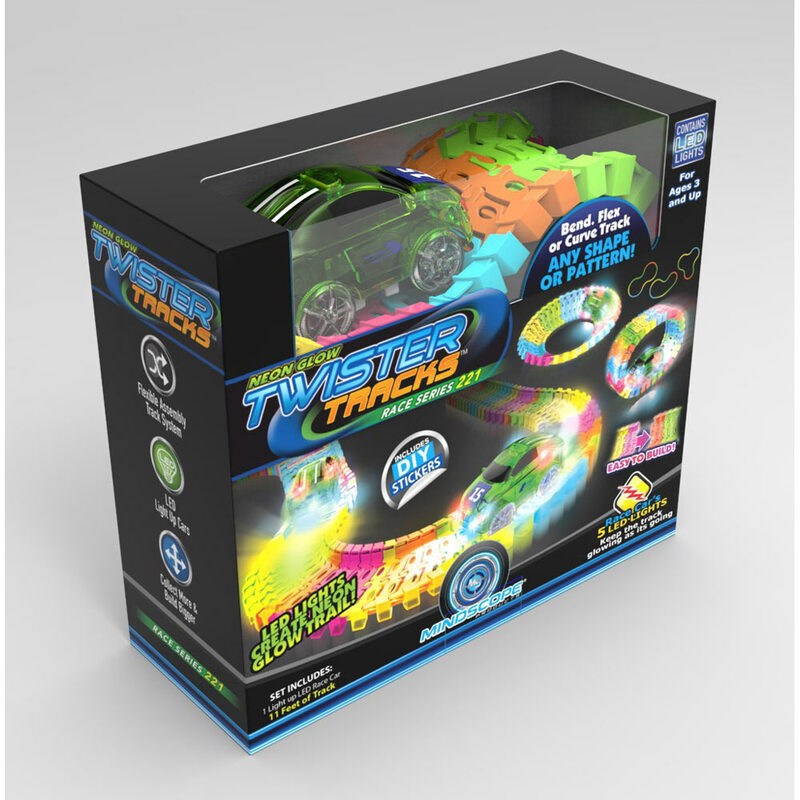 The excitement spills out before the box is opened. 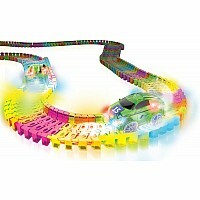 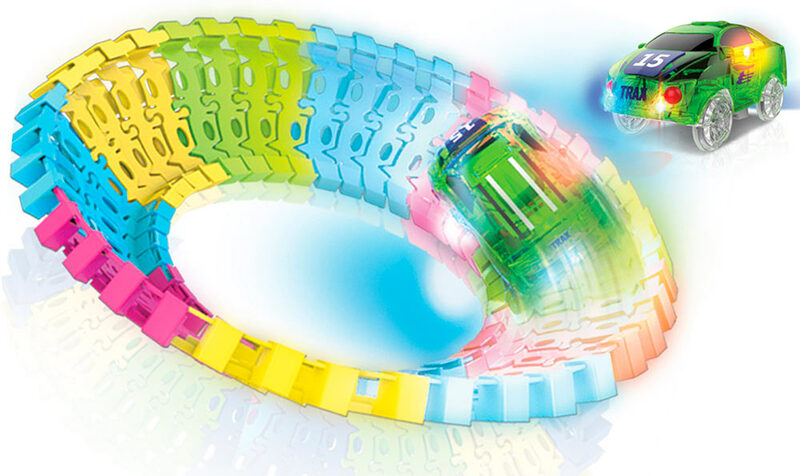 Out come 221 neon, glow-in-the-dark flexible track pieces that snap together in countless ways. 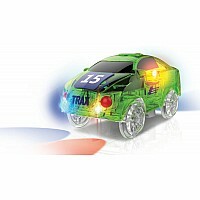 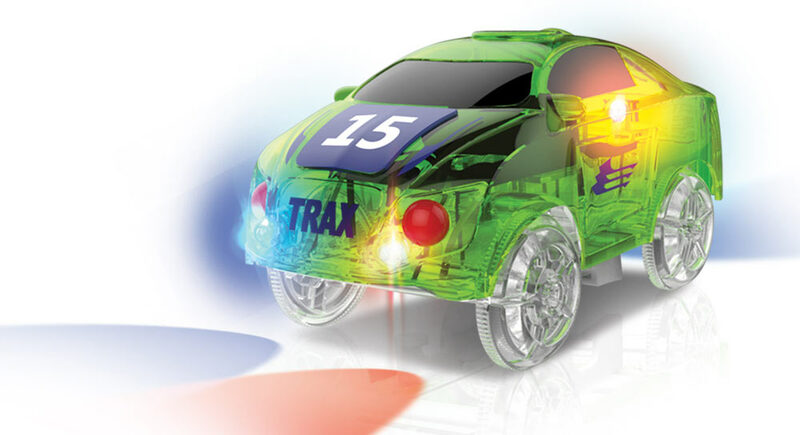 Decorate the transparent racecar with the stickers and watch it leave a trail of light on the track. 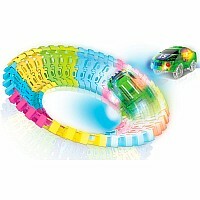 Requires 2 AAA batteries. 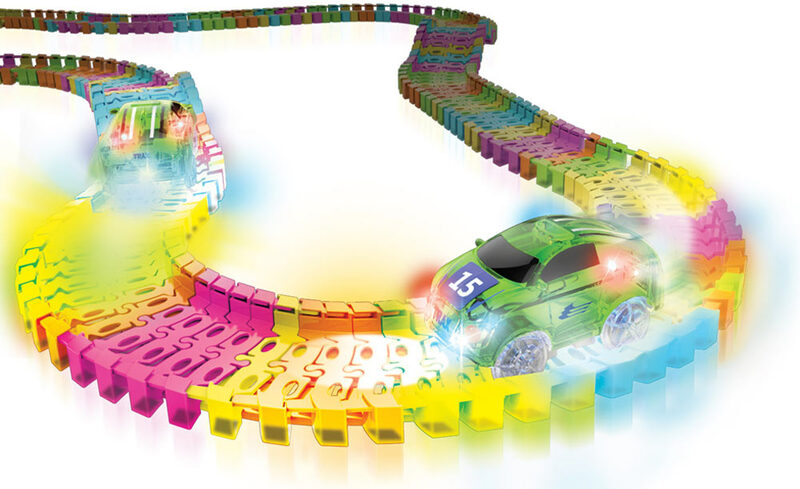 For ages 3-10 yrs, from Mindscope.